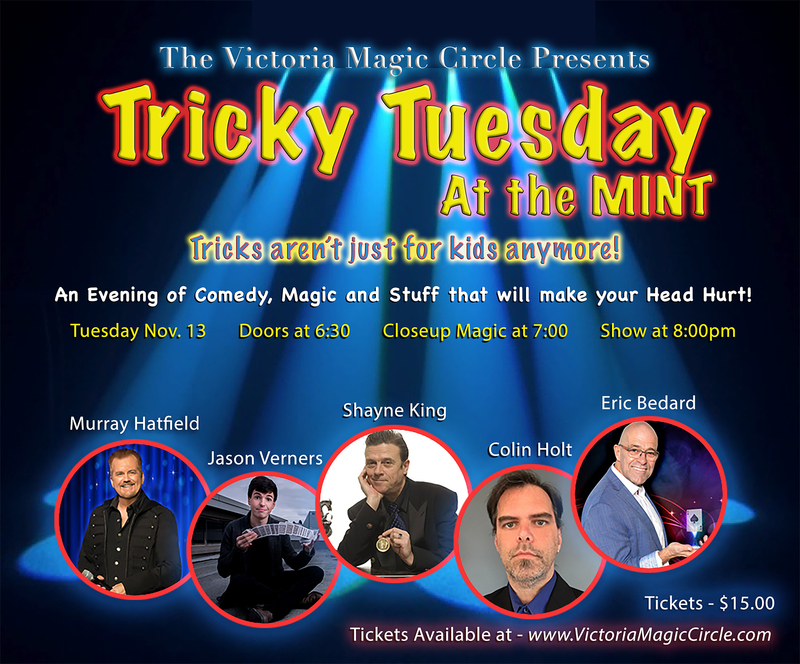 November 13th – Tricky Tuesday at the Mint! Every so often, our annual Wacky Wednesday event becomes so wacky that it cannot be confined to just Wednesday. This year it becomes Tricky Tuesday! Come join us on November 13th at The Mint (1414 Douglas St)! Comments Off on November 13th – Tricky Tuesday at the Mint! Rudy Coby is the next Can-Am Lecture Series lecturer who will be visiting the Victoria Magic Circle. Please note that this lecture will happen on Sunday, November 18th instead of our usual Saturday because he’s performing at some gig in Mission the night before (Yes, I’m looking at you, Norden! 😉 ). If you’re unfamiliar with Rudy’s work, read the promo below and see some of his work on YouTube at this link. Even if you think it’s not your style, keep in mind it’s worth attending the lecture as you *will* learn something you can use and at minimum be entertained for an evening. 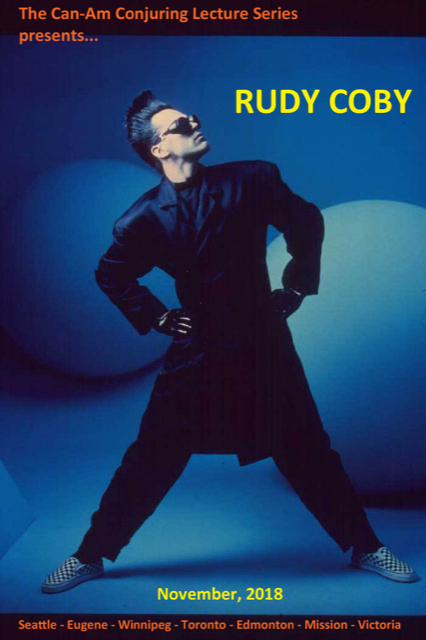 Rudy Coby, also known as “Labman”, is one of the most creative and bizarre comedic magicians working today.